In just one week, you will start seeing these posters in downtown San Anselmo. 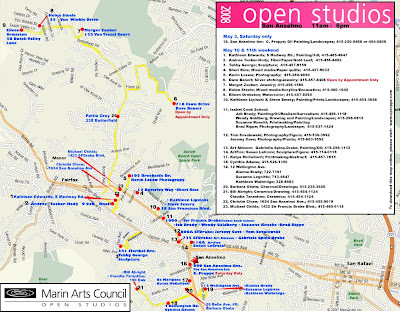 It is my first year, participating in Marin Arts Council, Open Studios. The San Anselmo Inn has graciously welcomed me back for this event. 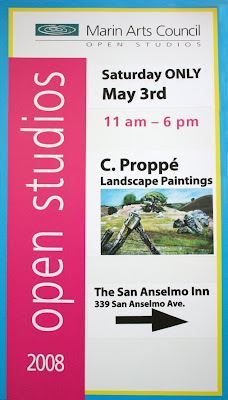 The rest of the San Anselmo artists will be showing their work in open studios the following weekend. I have created a MAP of all San Anselmo Artists. If you would like a copy of this, please pick one up at San Anselmo Coffee Roasters, San Anselmo Inn, Ross Valley Winery, or Barton's Bagels. Please look for the green basket with pink writing for the San Anselmo Artist Maps. You may also click on the map here and print the jpg file yourself. 1. I will be out on the sidewalk near the San Anselmo Inn, oil painting at my easel, plein air all day! 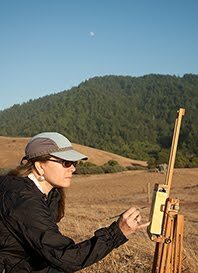 Kate Peper, a local watercolor artist, will be painting plein air, watercolor paintings as well. 2. I am having a 50% off sale of all my older works from this year. Feel free to make me an offer on anything you are interested in at this time, as I am looking to clear my inventory so I have more room for new paintings. This is the only time, all year that I am able to offer my work at such low costs, as there are no commissions taken for Marin Open Studios. 3. I will be hosting a silent auction of a select group of paintings at the Inn, Saturday only, with bidding starting as low as $100. At the end of the day, the highest bidder will be called and notified of their top bid. 4. 10% of ALL sales made this day will go to YES Foundation, to support Ross Valley Schools Music and Art education. 4. 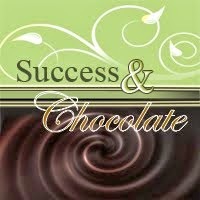 Refreshments and treats will be available through out the day. Please come by! Mother's Day is May 11th... Local art is a great gift! Looking forward to seeing you on the 3rd.